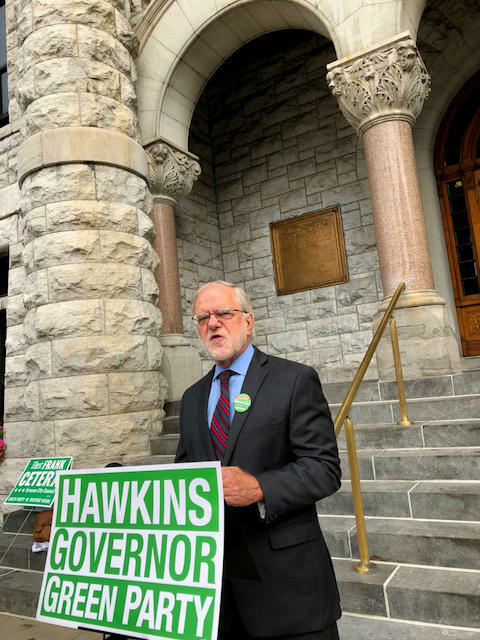 Green Party candidate for governor Howie Hawkins is hoping for more focus on the Green Party now that primaries are over. He notes several problems in Syracuse, including lead exposure, poverty, and housing, he wants to work on. Hawkins says that homelessness has exploded since Governor Cuomo’s term in office. He also sees a pattern of segregation in New York State schools, specifically in Syracuse. He further supports a sweeping health system, such as the single-payer New York Health Act that passed the state assembly earlier this year. Hawkins wants to have multiple debates with all the candidates leading up to the election, rather than just one. Hawkins explains qualifications of other Green candidates in statewide races, how lead poisoning is an example of the current administration's failure to solve problems, thoughts about poverty, and the choice he presents to voters. 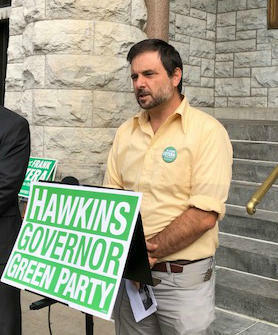 Hawkins has confidence that the Green Party is gaining momentum. He says voters who have previously voted for Democratic candidates would benefit more from voting for the Green Party. Hawkins notes his running mate, Jia Lee, Attorney General Candidate Michael Sussman, and Mark Dunlea for Comptroller are all well-qualified for each post. Frank Cetera reminds voters there's a special election for a Councilor-at-Large seat, due to an appointment after last year's election. Councilor at Large Candidate Frank Cetera also calls Syracuse and progressive voters to action. Cetera would work for better controls on police misconduct … and favors economic development for employee-owned businesses and cooperatives. He also has ideas to aid the city’s budget for infrastructure and services. Cetera is also reminding voters that there’s a special city-wide election for the Councilor-at-Large seat in November's election, after Michael Greene was appointed in January to the vacancy left by Helen Hudson when she was elected Council President. Both Cetera and Hawkins are counting on more attention to their campaigns now that primary elections are is over … in which progressive voters flexed some muscle.